1993’s A Storm in Heaven was the band’s full-length debut, produced by record producer John Leckie (of Radiohead, The Stone Roses,XTC and The Fall fame). “Blue” was released as the lead single and again managed to enter in the UK Top 75 at No. 69 and reached No. 2 in the Indie charts. The album was a critical success, but was only a moderate commercial success, reaching No. 27 in the UK album chart that summer. The second single from the album, “Slide Away”, topped the UK indie rock charts. During this period the band played a number of gigs with Oasis who, at the time, were relatively unknown. ]In 1994, the band released the album No Come Down, a compilation of b-sides plus a live version of “Gravity Grave” performed atGlastonbury Festival in 1993. It was the band’s first release under the name The Verve, following legal difficulties with the jazz labelVerve Records. The band then played on the travelling U.S. alternative rock festival, Lollapalooza, in the summer of 1994. A new mix of “Blue” was released in the U.S. to promote the band. For the band’s second album, 1995’s A Northern Soul, They departed from the experimental psychedelic sounds of A Storm in Heaven and focused more on conventional alternative rock, with Ashcroft’s vocals taking a more prominent role in the songs, although reminiscent of some of the early work. Around this period, Oasis guitarist and friend of Ashcroft, Noel Gallagher, dedicated the song “Cast No Shadow” on the album (What’s the Story) Morning Glory? to Ashcroft, and Ashcroft returned the gesture by dedicating the song “A Northern Soul” to Noel.The band released the album’s first single “This Is Music” in May, and it reached No. 35, their first single to reach the Top 40. It was followed by “On Your Own” in June which performed even better, reaching No. 28. 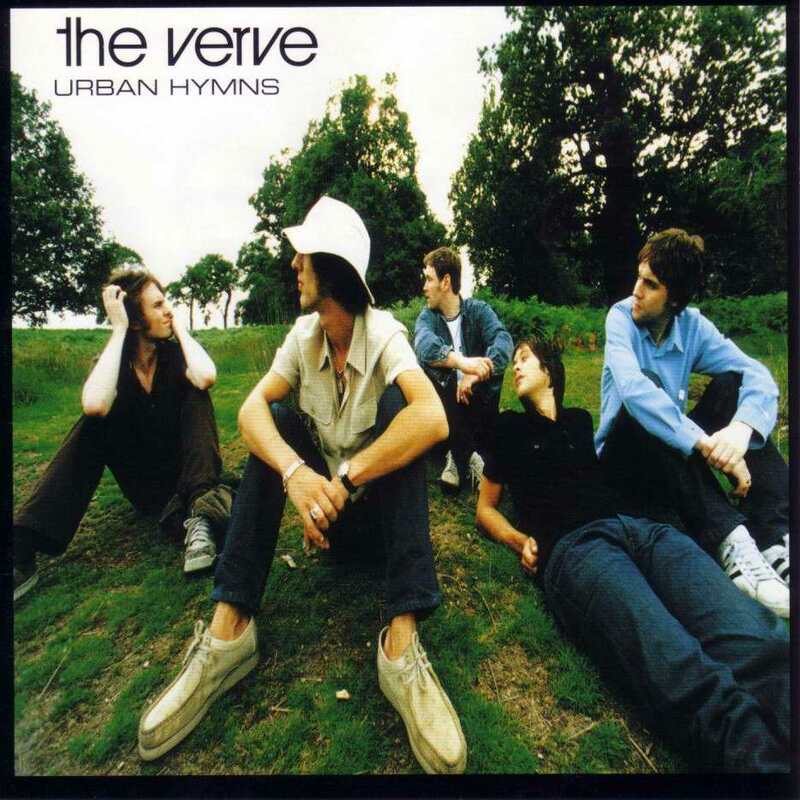 This single was particularly new for The Verve as it was a soulful ballad. The album reached the UK Top 20 upon its release in July, but Ashcroft broke up the band three months later, just before the release of the third single “History”, which reached No. 24 in September. Ashcroft reunited with Jones and Salisbury just a few weeks after the break-up, but McCabe did not rejoin them. The new band hired former Suede guitarist Bernard Butler, but he spent only a couple of days with the band. The band then chose Simon Tong, a school friend credited with originally teaching Ashcroft and Jones to play guitar. The band made no live appearances for all of 1996, apart from a solo performance from Ashcroft supporting Oasis in New York. The rest of the year was spent playing and recording songs for a new album.